I’m extremely lucky to have so many amazing gal pals. From college, to my first job, to my new life in Bloomington, I’ve formed friendships that will last a lifetime. If I could, I would have every single one of my girls standing up next to me on my wedding day. But, having 18 bridesmaids just isn’t my style. 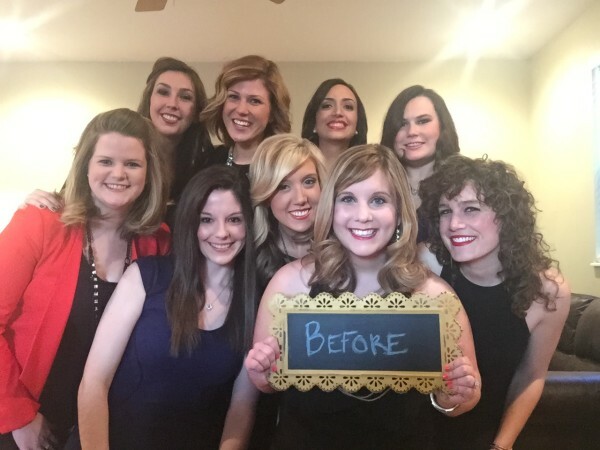 For me, deciding on a bridal party was easy. 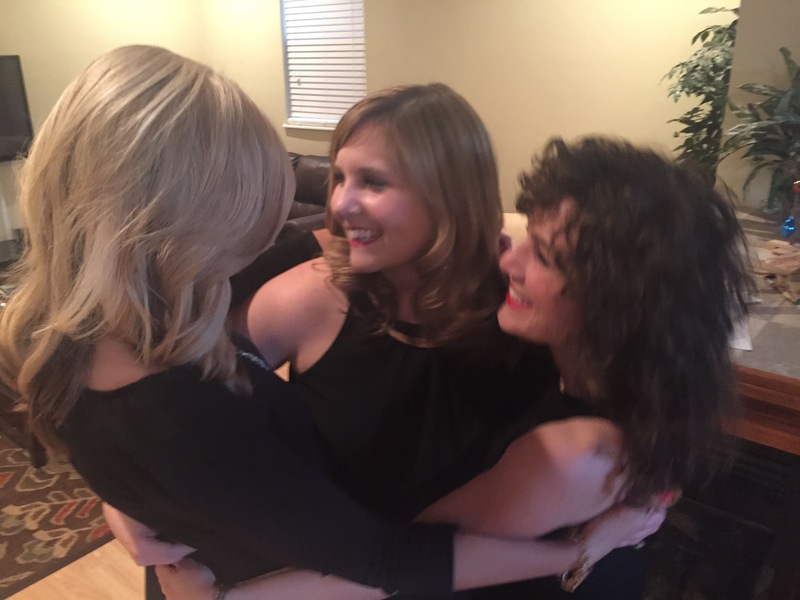 There were certain people in my life who I knew I wanted by my side on my big day. They’re the girls who know me best and who will help me keep a level head in the days and moments leading up to the ceremony. My two best friends from college will serve as maids of honor while my high school best friend and two cousins will be bridesmaids. When you have a large group of girls you’re close with, I know narrowing down the list can be difficult. Even with having a small bridal party, I was nervous about hurting people’s feelings by not including them. The great thing about weddings is they’re personal. There’s no rule that says you have to stick to a certain number of bridesmaids. There are also other ways to include people in your wedding day —we’re having my older sister get ordained so she can perform the ceremony. Ultimately, this is your day to celebrate your love and your future with your partner. All decisions should come down to what the two of you want — not what you feel pressured to do. Once you know who you want to include in your bridal party, the fun part is asking them to be a part of your big day! I wanted to do something special and fun for my girls. Naturally, I turned to Pinterest for suggestions. I decided to go along with a cute popcorn-themed idea I came across. 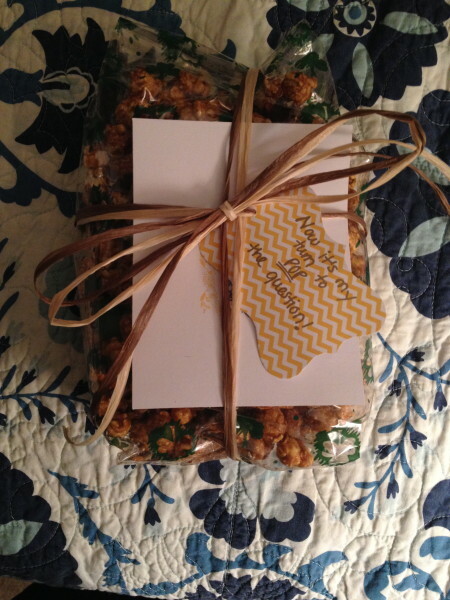 A local chocolate shop where I was living at the time made several varieties of gourmet caramel corn, which I knew would work perfectly. I attached a tag that included a fun play on words, along with a card that I printed for free from Wedding Chicks. It was so fun getting calls and texts from the girls with their reactions! It means the world to me that they’ll all play such a big role in our wedding day.